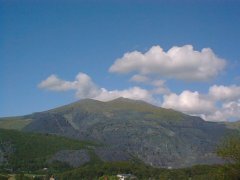 Llanberis is located at the foot of Snowdon making easy access for all amenities and local attractions of North Wales. Newly renovated, this small family run hotel is situated at the quieter, Caernarfon end of the mountain resort and has fantastic views of Lake Padarn and the Snowdonia mountains. Though most visitors come here for the ascent of Snowdon, the village of Llanberis has an array of tourist attractions that reflect the fact that its livelihood once depended on its great slate quarries. The Welsh Slate Museum has fascinating exhibits as well as demonstrations by former quarrymen, and there is a country park with a lakeside railway that once transported the slate. Visitors are also welcome in Dinorwig Power Station, which generates electricity deep in the heart of the mountains. 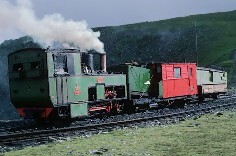 The Snowdon Mountain Railway, the only one of its kind in Britain, still hauls passengers to the summit by steam power. 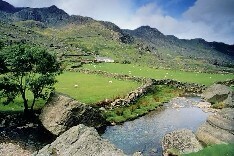 The Snowdonia National Park extends from the mountains overlooking Conwy Bay in the north to the peak of Cader Idris and the estuary of the Dyfi in the south. At its core is Snowdon, at 1,085 metres (3,560 feet) the highest mountain in England and Wales. As well as some of the country's most spectacular mountain ranges such as the rounded Carneddau, the rugged Rhinogs, or the less well-known Arans, the national park also includes splendid stretches of coastline, lush valleys, rugged stone villages, and an array of lakes. Although farming and tourism are the main activities today, there are many traces of the industries which once flourished here, from old copper mines to the great slate quarries at Llanberis and Blaenau Ffestiniog. Britain's only rack-and-pinion railway climbs to the very summit of Snowdon, while other steam railways chug inland from Porthmadog and Tywyn on the coast. 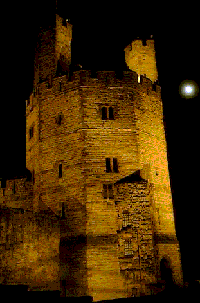 Caernarfon is famous above all for its mighty medieval castle. The most magnificent of the fortresses erected by King Edward I in the late 13th century, Caernarfon Castle was built to secure his hold on newly conquered North Wales. The town was founded at the same time and its defensive walls remain intact. However, it is the castle that dominates the scene, providing a magnificent setting for the investiture of the Prince of Wales. One of Wales's cathedral cities, Bangor is also a university town, at its liveliest when thousands of students are in residence. Bangor's cathedral, like a number of Welsh churches, was built in a hollow out of sight of seaborne raiders. In Victorian times the town attempted to turn itself into a seaside resort by building a fine pier reaching out into the Menai Strait. 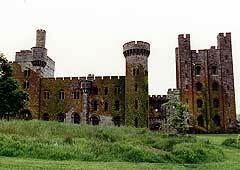 Nearby is the mock-medieval stronghold of Penrhyn Castle, built on the grandest of scales in the early 19th century with money made from the huge slate quarries of Snowdonia. Its interior is one of the most sumptuous in Wales.